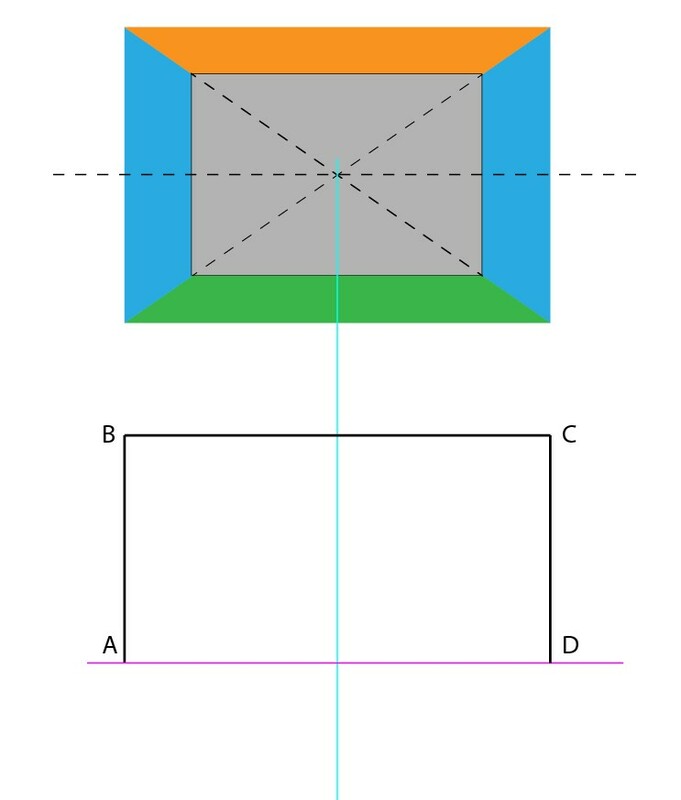 Assume I have a one-point perspective drawing of a room, and I've drawn a rectangular box off to the side, on the ground - the front plane is facing the viewer (all angles on this plane are 90°), and the other visible sides (right side, and top) are angled back based on their relation to the vanishing point. So it's a rectangular room, the viewer is standing in the middle facing the back wall, and there's a box along the left wall. Now assume that I want to leave that box where it is, but rotate it 30° or 45°. It now moves into two-point perspective. 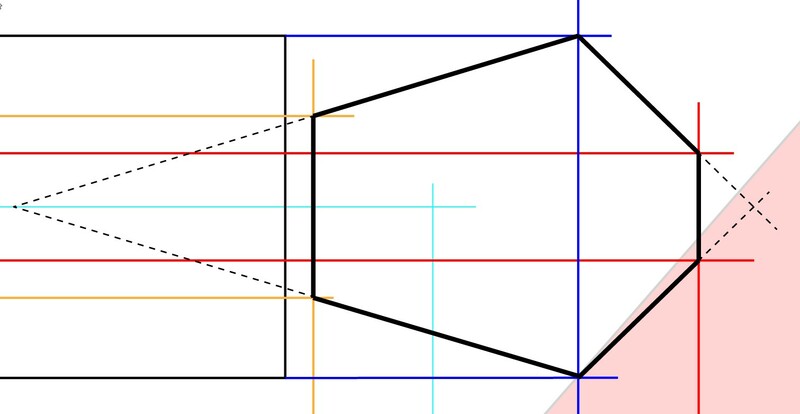 What I'm wondering is, how do I choose the two points for that perspective if I want to select a specific angle of rotation (i.e. 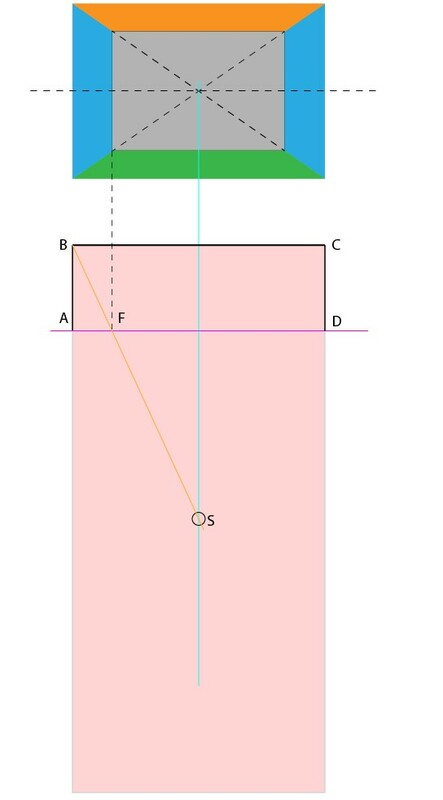 I want to rotate the box exactly 30° from the viewer, instead of visually "eh, close enough")? I'm assuming they would be on the same horizon line as the vanishing point for the one-point perspective. I understand the basics of drawing in 2 point perspective, but just picking random angles in the context of an existing 1pp room makes the object feel like it's "floating" - plus it doesn't really give any kind of control over exact angles. Lauren G is a new contributor to this site. Take care in asking for clarification, commenting, and answering. Check out our Code of Conduct. First, this one's not really a quick and easy answer, especially if you've not the relevant design and draughting background - I think you'd benefit from reading Francis D. K. Ching's book "Architectural Graphics" (Ching's Architectural Graphics on Amazon) which is also available as an e-book both on Amazon and Apple books. 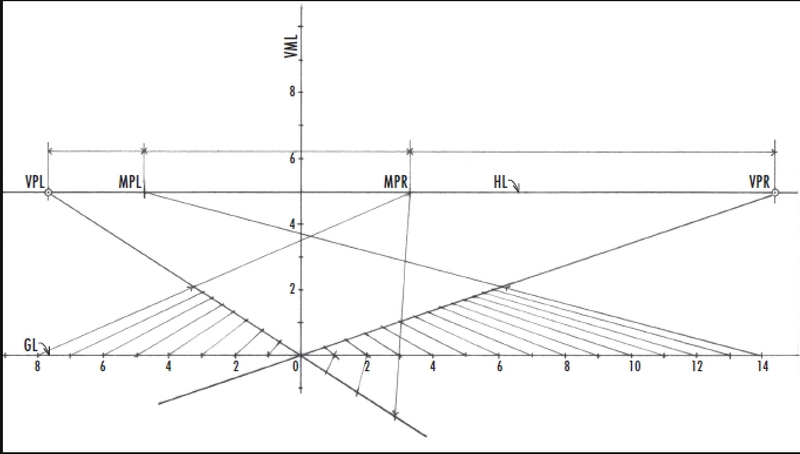 What we do in the architectural illustration field is rotate our item the specified amount in our plan view sketch, draw out the lines connecting the edges towards our Station Point (observer) and note where they pass through the picture plane. Once you've done that for the nodes at each end of one of your ground plane horizontal converging lines on the box side which you're converting to a 2-point, you can set your VP based on extending that to your horizonline. Here are some relevant images from Francis Ching's book mentioned above - it's really worth your while to purchase this book. 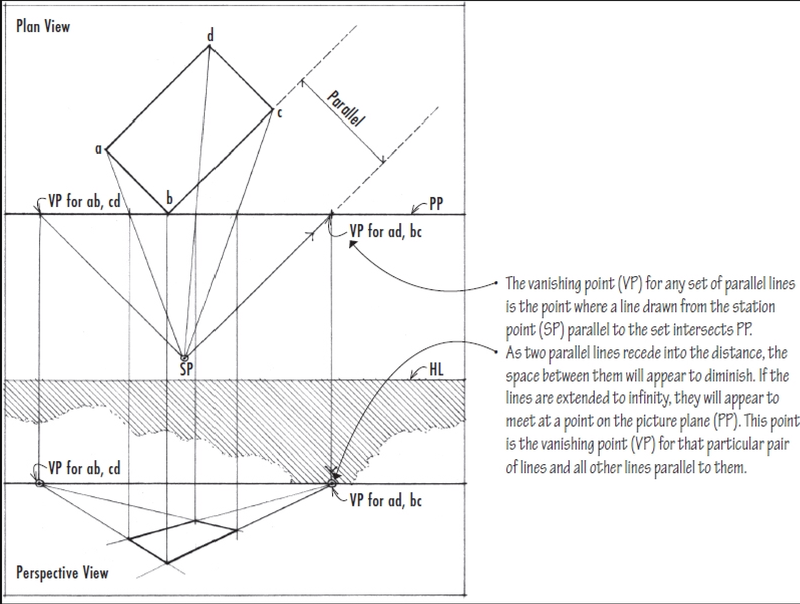 I also often recommend Michael E. Doyle's "Color Drawing" as another resource on construction of basic perspectives - it has some wonderful general technique discussion as well as more advanced compositional and colour drawing concepts. There's orange ceiling, green floor, grey back wall and blue side walls. The vanishing point + the horizon line are in the middle. 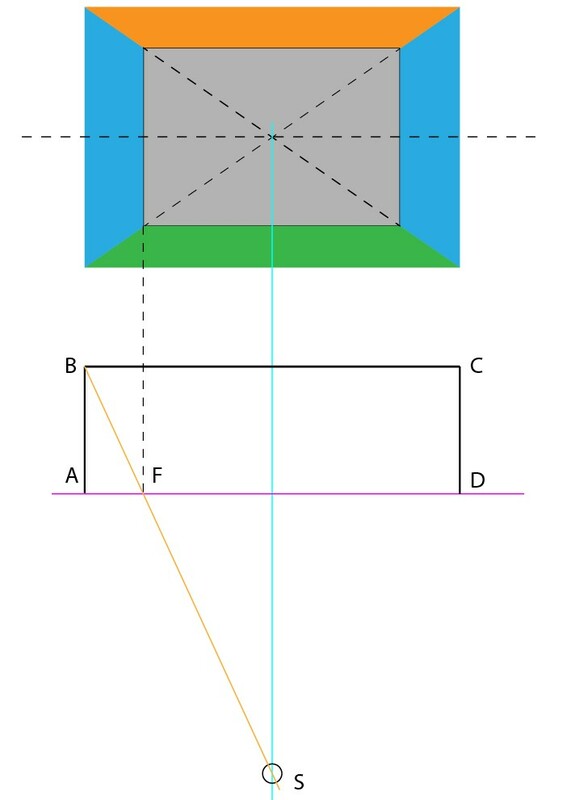 You asked how to find new vanishing points for a new perspective image if the view is changed to need 2 point perspective ie. the camera is moved outside the room, but it still has the same elevation ie. a half of the room height and it points still to the same horizon. This isn't solvable if you do not know how deep portion of the room is in the image ie. how long is the visible seam of the floor and a wall in same units as the width of the back wall. With this knowledge you can find the distance between the station point and the back wall in the same units. An alternative needed knowledge is how wide sector angle is filled by the back wall when it's observed from the station point. With it you can also place the station point in front of the imaging plane. Black polyline ABCD is the top view of the visible part of our room. Imaging plane seen from top is the magenta line AB and the camera stays in the station point somewhere downwards along the cyan line. We extend the orange sight line (=drag it bigger holding shift) until it crosses the cyan line. The crossing is the station point S. There's a circle only to show it. Further drawings are easier if we place an anchor to S because it's a point where new drawings can snap. Now we move the camera elsewhere. I moved and rotated the room, but kept the station point and imaging plane. To reduce the number of needed sight lines I placed one corner to the imaging plane. But that's voluntary. We can make sight lines to points and get as crossings their places at the imaging plane. Here the the visible corners are placed to the top view of the imaging plane. This way we get actually all known points imaged to the top view of the imaging plane. But we have not the wanted new vanishing points. To get them we need the same construction vertically. We can do it, because we have everything needed. The relative right height of the room is the height of our original colored perspective image. 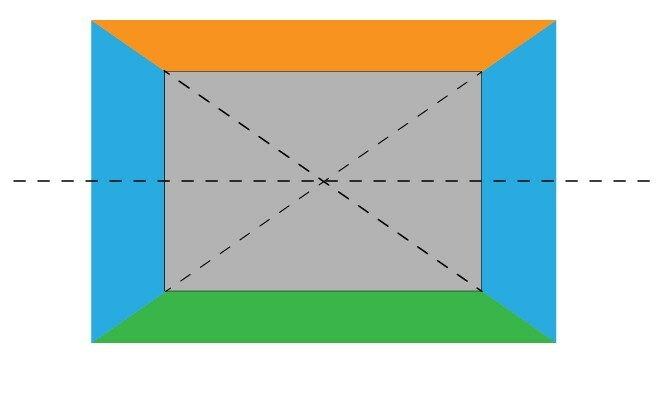 The length of the vertical blue sides was the distance between the ceiling and the floor in the imaging plane. In the image above side AB is the copied height from the original image, but rotated 90 degrees. 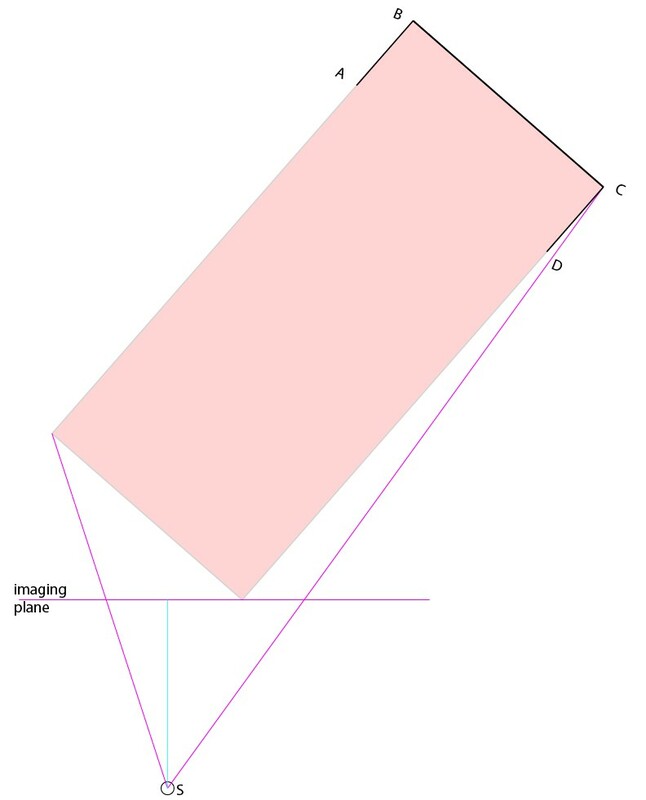 We place the same height to the distances of the visible corners behind the imaging plane. The furthest corner isn't visible from the altitude of the station point. The preceding construction gave top and side views of the imaging plane. To make a combination horizontal and vertical marking lines are drawn. NOTE1: In Illustrator new lines do not snap reliably to crossings. For that reason a new anchor is inserted to every needed crossing. 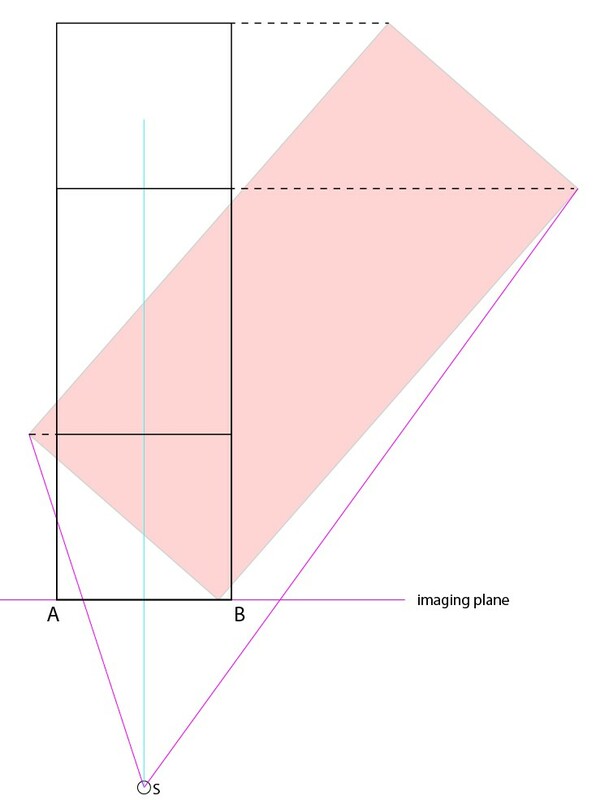 NOTE2: Actually the places of the two new vanishing points at the top and side projections of the imaging plane can be constructed at the same time as one draws the sight lines to visible points. One must add only imaginary extra sight lines from the station point which are drawn in parallel with the walls. 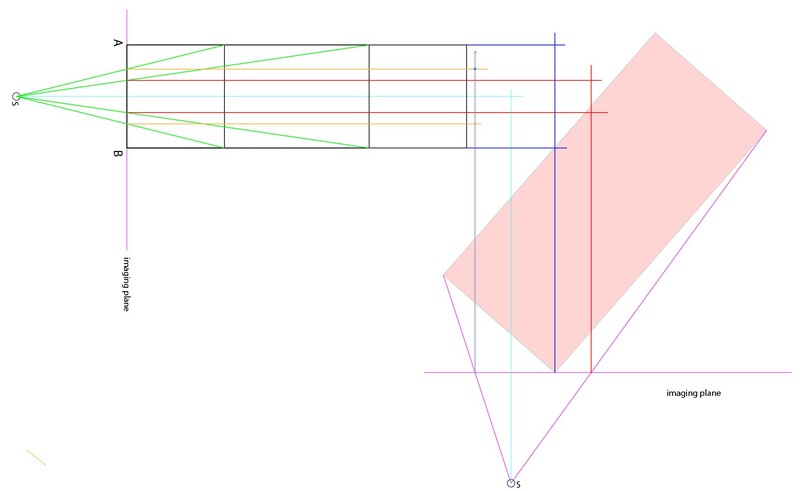 In the side view there's already one: The cyan straight line perpendicular with the image plane. NOTE3: If the original image has other details which are not points on the walls, floor nor ceiling, nor connected to them in any simple way, their places in the new image are undefined. There's no way to decide how far from the camera such a point is. Lauren G is a new contributor. Be nice, and check out our Code of Conduct. Not the answer you're looking for? Browse other questions tagged drawing perspective or ask your own question. How to create a vanishing point on a curved surface? 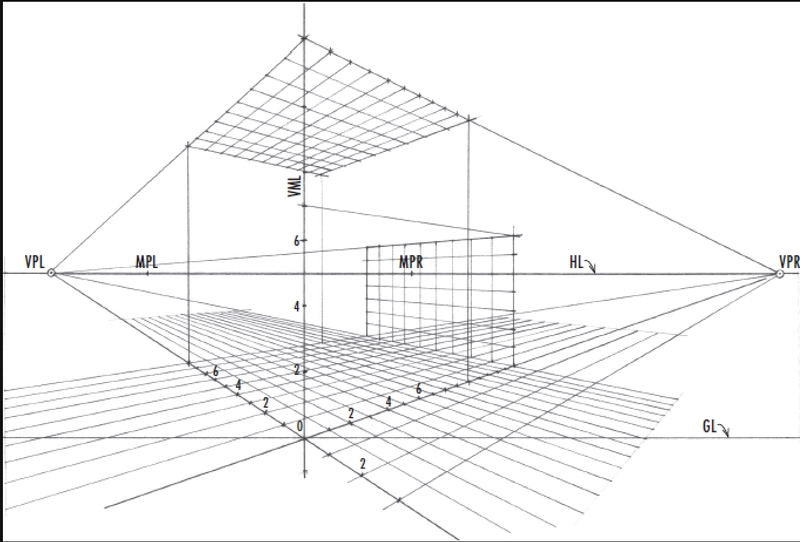 When to use one-point versus two-point perspective drawing? Does the front plane ever change in 1 point perspective?